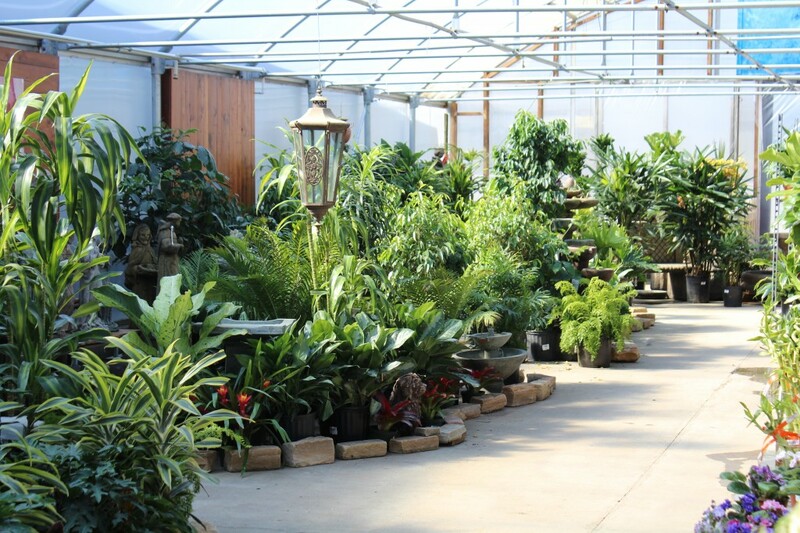 With our selection, quality and knowledge, Family Tree Nursery is the best place to buy your next indoor plant. With our selection, quality and knowledge, Family Tree Nursery is the best place to buy your next indoor plant. We carry an extensive selection of indoor houseplants year-round; from 3 inch starter sizes to large, room-filling plants. Let us help you select the right indoor plant today! Several houseplants can tolerate lower light conditions, but if in doubt, all would prefer medium to bright indirect light. Allow soil to dry 1/3 of the way down the pot and then water thoroughly. We guarantee all our plants to be insect and disease free. Like Serissa or Fukien Tea. Sub-tropicals are mainly native to Asia and want high light indoors. Most would even prefer to travel outdoors during the summer. Terrariums are a way to build a small living world under glass. They have seen a resurgence in popularity and are easy to put together with the proper know-how. 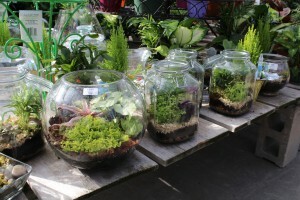 Let us help you create a terrarium for your home, or have one of our designers do all the work for you! Don’t forget to bring the drama! Tropicals offer unbeatable color and pizzazz while being heat-tolerant, sun loving and nearly maintenance free. Click here to read more about our favorites! This is what most people think of as the traditional Orchid. Phalaenopsis, or moth orchid, have large, delicate blooms and most often are seen in purples and whites. They are the easiest orchid to care for and can re-bloom easily. Call the store to ask about our current Orchid selection. Start your own little shop of horrors! 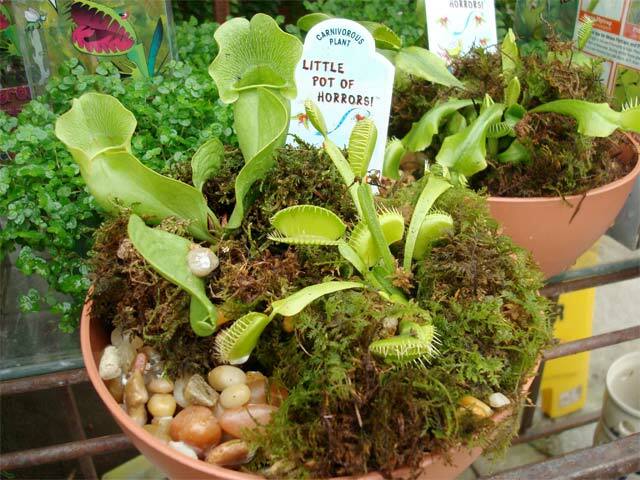 At Family Tree Nursery, we carry all the unusual varieties of carnivorous plants to startle and amaze! Plants make the perfect hostess, sympathy, or just a “thinking of you” gift. 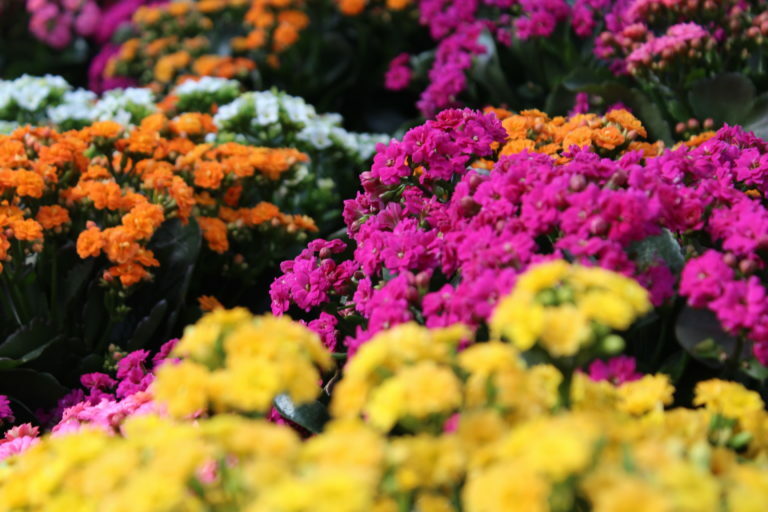 At Family Tree Nursery we carry many different gift plants including Kalanchoe, African Violets, Begonias, Anthuriums and Orchids plus many more seasonal options. Come by and pick one up or with a little notice let us design a tabletop arrangement for you.